Rebel against those unsightly white plastic switches with our gorgeously distressed copper rocker switch. This fabulous switch is the perfect antidote to minimalist spaces, where you just need a little something to add contrast and interest. 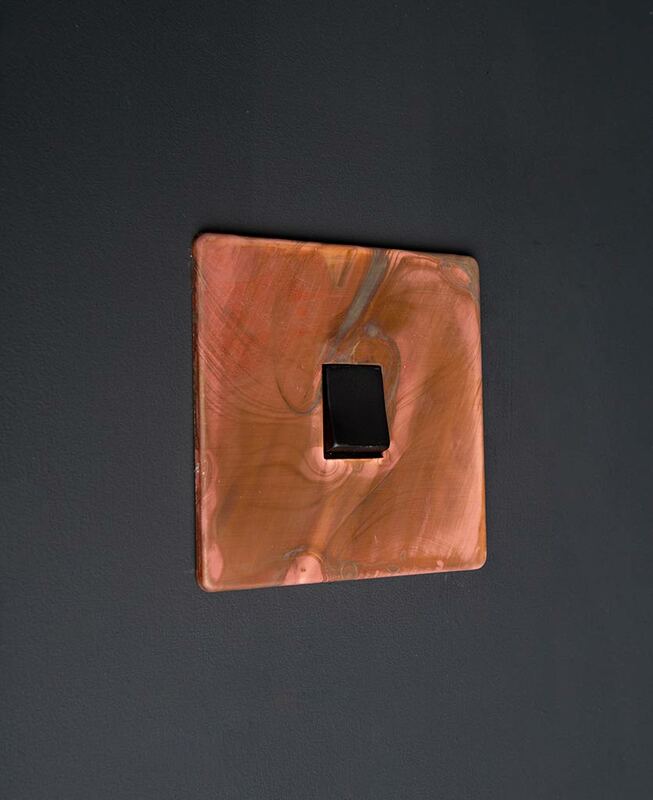 Finished in authentically tarnished copper with swirling hues of teal, navy and grey, this switch certainly makes a statement. 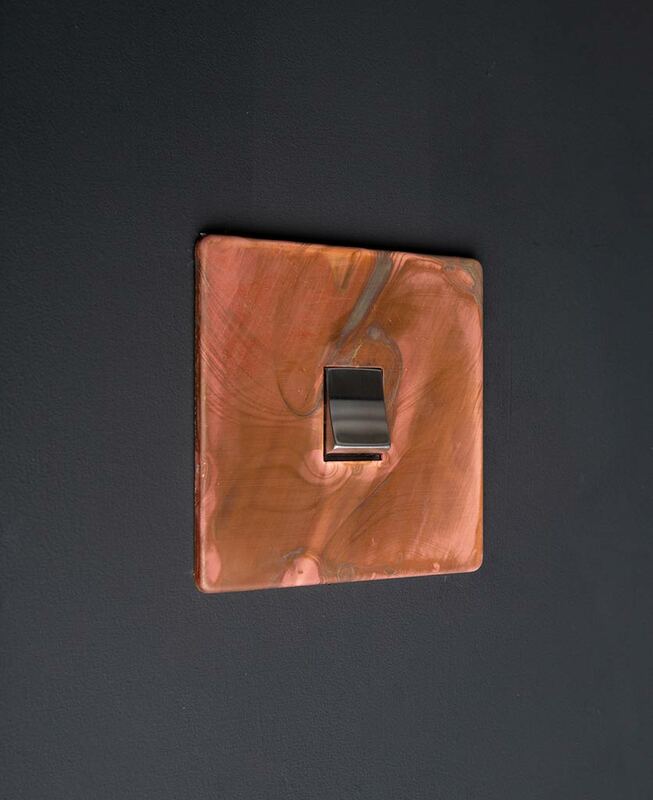 Add a touch of the industrial to your minimalist spaces with a gorgeous tarnished copper rocker switch. This stunning switch has been exclusively designed here at D&R to eradicate those unsightly white plastic switches once and for all. 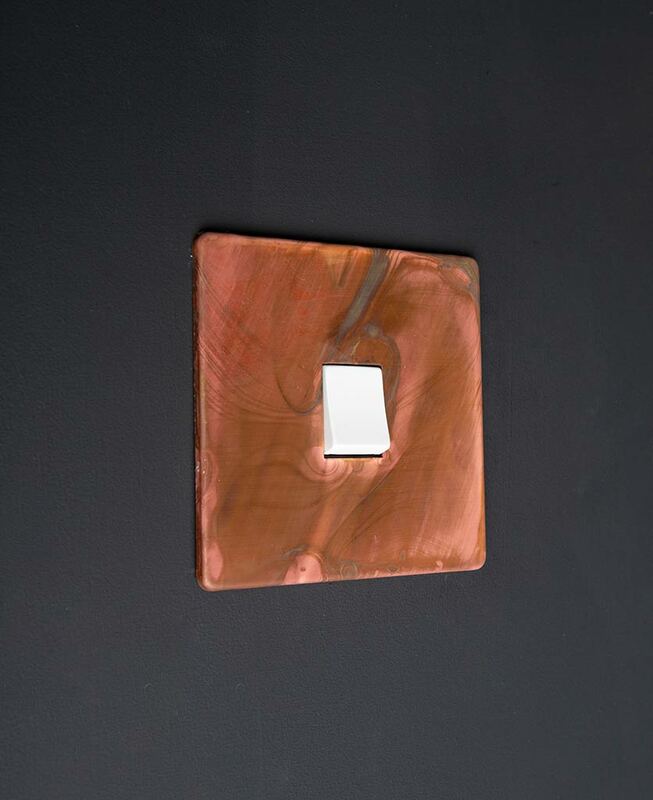 With a fabulous distressed copper coated steel plate with a plethora of colours drifting across the surface and rocker switch detail in white, black, silver or gold, this is one stylish switch. It’ll make turning your lights on and off a real treat. We love this designer switch coordinated with our copper switches and sockets collection. A range of dimmers, toggles, sockets and appliance switches that have been created to add a high-end designer flair to your interiors, without breaking the bank. Mix and match across the range to complete your spaces.